Measures air velocity in m/s, ft/min, mph, km/s or knots. Measures volume in m3/min (CMM) or ft3/min (CFM). 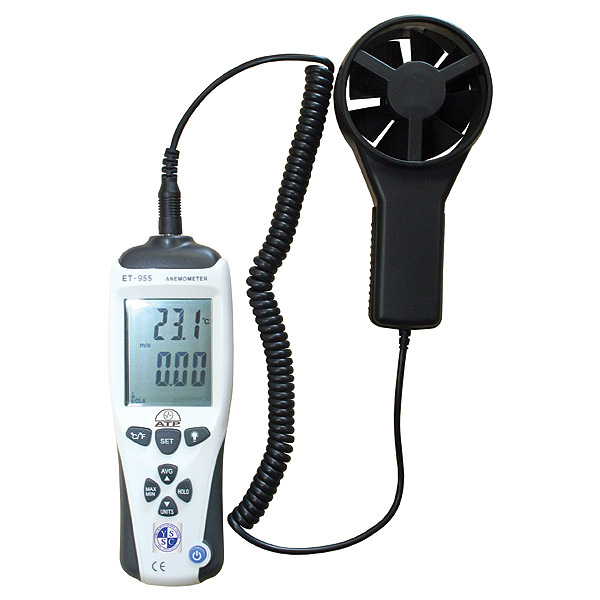 Measures temperature °C or °F. 55mm hi-contrast LCD display with backlight and function indicators. Dual display for velocity and temperature. 12 segment bargraph for velocity. Average multiple readings for velocity or flow volume for the last 30 readings. Standard ¼” camera bush for tripod mounting of instrument.